And don’t worry: We haven’t changed the Google Analytics social channels. We will continue to bring you product news and tips on Google+, Twitter, YouTube, LinkedIn and Facebook. We hope you like our new home. Thanks for visiting, and come back soon! This entry was posted in Google Analytics Blog and tagged Analytics, Analytics 360 Suite, Google Analytics on July 25, 2018 by Adam Singer. This entry was posted in Google Analytics Blog and tagged Analytics, Analytics 360, Analytics 360 Suite, Google Analytics on July 12, 2018 by Adam Singer. Today, we’re introducing new Cross Device features to Google Analytics. Analytics will now help you understand the journey your customers are taking across their devices as they interact with your website, giving you a complete view of the impact of your marketing so you can run smarter campaigns that deliver more tailored experiences to your customers. Say you’re a marketer for a travel company. With the new Acquisition Device report, you may find that a lot of your customers first come to your website on mobile to do their initial research before booking a trip later on desktop. Based on that insight, you might choose to prioritize mobile ad campaigns to reach people as they start to plan their trip. In addition to the Acquisition Device report, you’ll soon have access to other Cross Device reports like Device Overlap, Device Paths and Channels. Our Cross Device reports only display aggregated and anonymized data from people who have opted in to personalized advertising (as always users can opt out at any time). Analytics will also now help you create smarter audiences based on the actions people take on various devices. That way you can deliver more relevant and useful experiences. Let’s say you’re a shoe retailer and you want to share a special promotion with your most loyal customers. You decide this means people who have purchased more than $500 in shoes on your website in the last 12 months using any of their devices. If a group of customers buy $300 worth of shoes on their phone and another $300 on their desktop, they’re just as valuable as another group who spend $600 on a single device, right? Analytics now understands that these two groups of customers actually spent the same amount on your website, helping you create a more accurate audience list to reach the right customers. And spend isn’t the only way to segment and build audiences. You can also create remarketing campaigns to reach audiences based on how many times they visit your website across multiple devices. 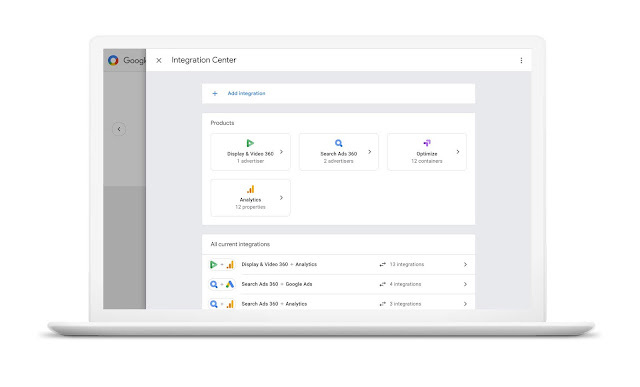 To use these new Cross Device features, start by visiting the Admin section of your Analytics account and choose the setting to activate Google signals. (If you don’t see this setting, you will soon—we’ll roll it out to all Analytics accounts over the coming weeks.) There’s no need to update your website code or get additional assistance from a developer. With these new beta features in Analytics, we hope you’ll quickly see that by better understanding the customer journey across devices, you can create more relevant and useful experiences for your customers. This entry was posted in Google Analytics Blog and tagged Analytics, Analytics 360, Google Analytics on July 11, 2018 by Adam Singer. The ways people get things done are constantly changing, from finding the closest coffee shop to organizing family photos. Earlier this year, we explored how machine learning is being used to improve our consumer products and help people get stuff done. In just one hour, we’ll share how we're helping marketers unlock more opportunities for their businesses with our largest deployment of machine learning in ads. We’ll explore how this technology works in our products and why it’s key to delivering the helpful and frictionless experiences consumers expect from brands. Join us live today at 9am PT (12pm ET). Consumers today are more curious, more demanding, and they expect to get things done faster because of mobile. As a result, they expect your ads to be helpful and personalized. Doing this isn’t easy, especially at scale. That’s why we’re introducing responsive search ads. Responsive search ads combine your creativity with the power of Google’s machine learning to help you deliver relevant, valuable ads. Simply provide up to 15 headlines and 4 description lines, and Google will do the rest. By testing different combinations, Google learns which ad creative performs best for any search query. So people searching for the same thing might see different ads based on context. We know this kind of optimization works: on average, advertisers who use Google’s machine learning to test multiple creative see up to 15 percent more clicks.1 Responsive search ads will start rolling out to advertisers over the next several months. People watch over 1 billion hours of video on YouTube every day. And increasingly, they’re tuning in for inspiration and information on purchases large and small. For example, nearly 1 in 2 car buyers say they turn to YouTube for information before their purchase.2 And nearly 1 in 2 millennials go there for food preparation tips before deciding what ingredients to buy.3 That means it’s critical your video ads show at the right moment to the right audience. Machine learning helps us turn that attention into results on YouTube. In the past, we’ve helped you optimize campaigns for views and impressions. Later this year, we’re rolling out Maximize lift to help you reach people who are most likely to consider your brand after seeing a video ad. This new Smart Bidding strategy is also powered by machine learning. It automatically adjusts bids at auction time to maximize the impact your video ads have on brand perception throughout the consumer journey. Maximize lift is available now as a beta and will roll out to advertisers globally later this year. Whether they start their research on YouTube or Google, people still make the majority of their purchases in physical stores. In fact, mobile searches for “near me” have grown over 3X in the past two years4, and almost 80 percent of shoppers will go in store when there’s an item they want immediately.5 For many of you, that means driving foot traffic to your brick-and-mortar locations is critical—especially during key moments in the year, like in-store events or promotions. Today we’re introducing Local campaigns: a new campaign type designed to drive store visits exclusively. 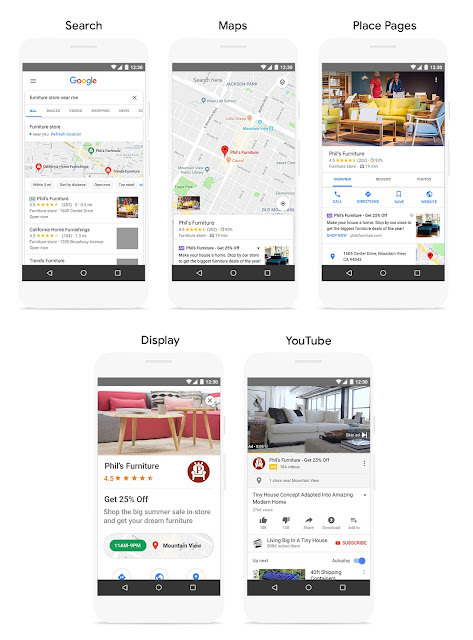 Provide a few simple things—like your business locations and ad creative—and Google automatically optimizes your ads across properties to bring more customers into your store. Local campaigns will roll out to advertisers globally over the coming months. Earlier this year, we rolled out a new Shopping campaign type that optimizes performance based on your goals. These Smart Shopping campaign help you hit your revenue goals without the need to manually manage and bid to individual products. In the coming months, we’re improving them to optimize across multiple business goals. Beyond maximize conversion value, you’ll also be able to select store visits or new customers as goals. Machine learning factors in the likelihood that a click will result in any of these outcomes and helps adjust bids accordingly. Machine learning is also used to optimize where your Shopping ads show—on Google.com, Image Search, YouTube and millions of sites and apps across the web—and which products are featured. It takes into account a wide range of signals, like seasonal demand and pricing. Brands like GittiGidiyor, an eBay company, are using Smart Shopping campaigns to simplify how they manage their ads and deliver better results. GittiGidiyor was able to increase return on ad spend by 28 percent and drive 4 percent more sales, while saving time managing campaigns. We’re also adding support for leading e-commerce platforms to help simplify campaign management. In the coming weeks, you’ll be able to set up and manage Smart Shopping campaigns right from Shopify, in addition to Google Ads. This is an important moment for marketers and we’re excited to be on this journey with you. Tune in at 9am PT (12pm ET) today to see it all unfold at Google Marketing Live. 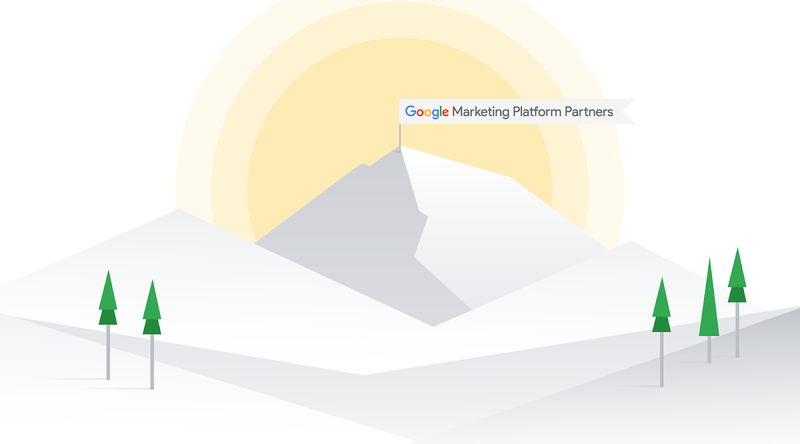 For the latest news, follow the new Google Ads blog. And check out g.co/adsannouncements for more information about product updates and announcements. 2 Google / Kantar TNS, Auto CB Gearshift Study, US, 2017. n=312 new car buyers who watched online video. 3 Google / Ipsos, US, November 2017. 4 Internal Google data, U.S., July–Dec. 2015 vs. July–Dec. 2017. 5 Google/Ipsos, U.S., “Shopping Tracker,” Online survey, n=3,613 online Americans 13+ who shopped in the past two days, Oct.–Dec. 2017. This entry was posted in Google Analytics Blog and tagged Analytics, Analytics 360 Suite, Google Analytics on July 10, 2018 by Adam Singer. 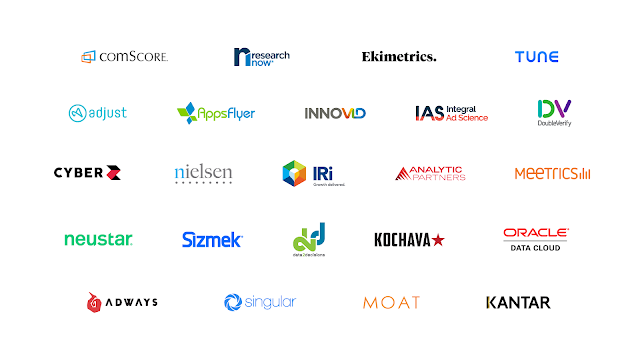 Get ready for the ads, analytics, and platforms innovations live stream. Watch today at 9:00 a.m. PT / 12:00 p.m. ET to learn more about Google’s latest announcements. This entry was posted in Google Analytics Blog and tagged Analytics, Analytics 360 Suite, Google Analytics on June 28, 2018 by Adam Singer. This entry was posted in Google Analytics Blog and tagged Analytics, Google Analytics on June 27, 2018 by Stephen Kliff. Whether you’re a data analyst, marketer, or e-commerce specialist, keeping on top of your data and making informed choices can make significant impact on your business. With that in mind, the Google Analytics team has introduced a new video series on YouTube: Measure Matters. Hosted by Analytics Advocates Krista Seiden and Louis Gray, the series covers best practices on leveraging our suite of products, rounds up highlights from the larger measurement community, and reviews recent product updates - so you never miss a thing, even with your busy schedule. Subscribe to our YouTube channel or find our Measure Matters playlist: https://tinyurl.com/measurematters. Our second episode covered finding your North Star, being sure to try new approaches and take risks, but to make choices based on data, rather than hacking your way through without a clear plan. The third episode focused on how app developers can literally change the game through mobile app analytics, leveraging Google Analytics for Firebase. Measure Matters is scheduled to stream live every two weeks, with most events taking place at 10 a.m. Pacific time on Wednesday. Our next event will take place on Wednesday, June 27th, with the topic of Hearts, Charts and Shopping Carts -- how you can evolve your marketing measurement with data. See our playlist for upcoming and past episodes. Measure Matters is not a one-way broadcast. Krista and Louis regularly stream live on YouTube and answer questions taken via YouTube or on Twitter, using the hashtag #measurematters. So send us your questions, ideas, or content you think belongs on our show, and it just may make our next episode. This entry was posted in Google Analytics Blog and tagged Analytics, Announcements, Google Analytics, Videos on June 18, 2018 by Adam Singer. Using the AdWords integration with Optimize 360 (the enterprise version of Optimize), Spotify ran an experiment that focused on users in Germany who had searched for "audiobooks" on Google and clicked through on their search ad. Half of these users were shown a custom landing page dedicated to audiobooks, while the other half were shown the standard page. The custom landing page increased Spotify’s premium subscriptions by 24%. "Before, it was a fairly slow process to get all these tests done. Now, with Optimize 360, we can have 20 or more tests running at the same time. It’s important that we test a lot, so it doesn’t matter if we fail as long as we keep on testing,” said Joost de Schepper, Spotify’s Head of Conversion Optimization." 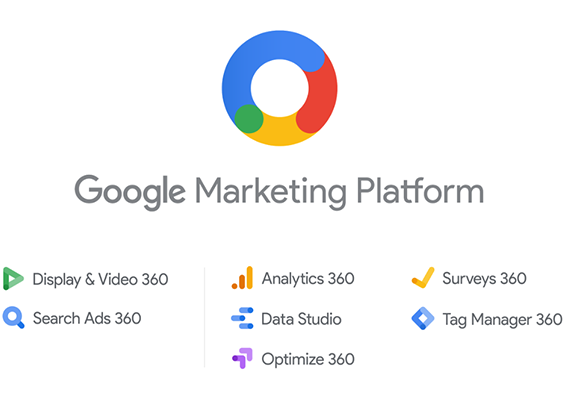 This entry was posted in Google Analytics Blog and tagged AdWords, Analytics, case study, Experimentation, Google Analytics, Optimize, Optimize 360 on May 30, 2018 by Adam Singer.